Paddle boards for sale: where to start? There are a number of sources for finding new and used paddle boards for sale. Consider Ebay, Kijiji, Craigslist, Costco, Sam’s club etc. and of course local SUP shops and classified ads. There are many sites on the Web that feature new and used boards for sale. Some are listed below for your convenience. It goes without saying: do your research to buy with confidence, and when buying from private sellers make sure you know what you’re getting before you hand over the cash. On-line reviews are an excellent way to help you make an informed decision about new or used paddle boards. Many manufacturer websites offer reviews, although be aware of company-written versus consumer-written reviews. Search for reviews specific to the type of board you’re interested in. 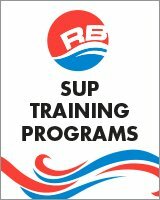 Search for blogs and discussion forums for paddle board enthusiasts. Learn all you can for a successful buying experience. Compare prices, shipping fees, and availability to decide if you will buy local or have your new board shipped. Before having a board shipped, find out how much responsibility both the seller and the courier will guarantee, and let the seller and shipper know you will not accept delivery in the event of damage. Know exactly how the board will be packaged and be sure shipping insurance is in place. Once your board arrives, open the container, check the board, and take photo before determining acceptance. This simple process will significantly help your case if you have an insurance claim. Be sure to fully inspect the board for cracks, dents, rail damage etc. Ask if it has sustained any damage, and about repair details. If it is a “hard board,” be sure to ask if the core foam has absorbed any water. If the answer is yes, it may be best to move on. DESCRIPTION: SupAtx. Clearly illustrated board shapes with descriptions of board attributes to help you choose. DESCRIPTION: Australia - good tips for choosing new or used paddle boards for sale as well as gear. Forums and news too! DESCRIPTION: Calibex: a site that finds used paddle boards then directs you the the site where they can be purchased.